Black people are broke because we have the lowest rate of business ownership of any other ethnic group. AFRICANGLOBE – Some people cannot sit still until they have spent all their money. Well, they should know they are going to be bound by employment forever if they go on like that. For those who aspire to condemn themselves to a less than desirable financial situation, living one pay-cheque away from poverty can be accomplished in a number of ways. One of the most obvious channels that can ensure you maintain a hand to mouth existence is choosing to spend lavishly as opposed to putting away a portion of income. Impulse purchases of things that you do not need (in a bid to impress people who do not care) is a sure way to maintain a hand to mouth existence for the duration of your lifetime. In most cases, lavish expenditure exceeds income. Related to that is the lack of a savings culture. For the most part, such people are usually restless until the money in the wallet or bank account has been spent. If you share an office with a spendthrift, end month/ beginning of the month period is characterised by restlessness. They will only ‘settle’ around mid-month when their account is in the red. Such people scoff at any talk of a saving account because they reason that since they have worked hard for the money, it should be spent. If your pay-cheque has shrank thanks to the monthly deductions that are channeled towards your loan obligations; this is an assured route to a hand to mouth existence. In most cases, you are over-borrowed, thanks to your lavish lifestyle. For some, they finance this binge spending through acquiring loans from their employer, commercial banks and loan sharks. This is in addition to loans are obtained from your workmates, family and friends. Sadly, this multiple borrowing is not for productive purposes, but to maintain a lavish lifestyle. With this type of money habits, you are bonded to a lifetime of employment because your pay-cheque is the only lifeline that protects you from the numerous creditors. Another sure way of condemning yourself to a lifetime of uncertainty is leaving your retirement plans to your employer or Government. It is common to hear individuals brag about their fat account balances with their social security provider. This entitlement mentality accords them the false sense of comfort. They argue that they have devoted their entire life to serving their employer who has to take care of them. However, if you do not make retirement plans to match the current contributions from your employer, you are not likely to leave the rat race. Anyone who has a single source of income amid the prevailing financial pressure has condemned themselves to a lifetime of pay-cheque to pay-check existence. 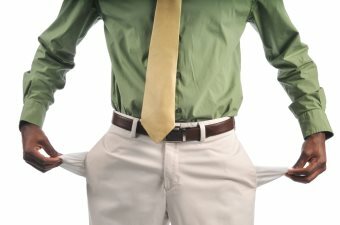 If you pay more attention to keeping up appearances as opposed to getting serious with seeking financial knowledge to expand income streams, you have a high chance of staying perpetually broke. More to that, it is not uncommon for people live beyond their means with the hope that a mega deal, lottery win or a good paying job is just around the corner to sort them out for life. They also dedicate a lot of time to blaming everybody else but themselves for their measly existence and poor money habits. It should be common knowledge that unless you put away some savings that can be built up for investment, you have assigned yourself to the work-till-you-drop lifestyle. As it is, if your attitude towards money drives you to hunt for get-rich-quick schemes that do not require you to invest a lot of time and effort, you will always fall victim of conmen. All in all, if you relate to some of the money habits outlined above, the best course of action is to change and cultivate a discipline of using a share of your income to build assets that can generate income.